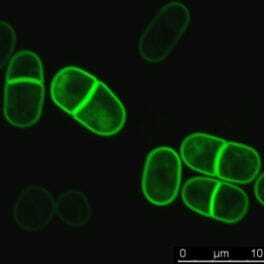 Pioneer work on eukaryote cell cycle control has been performed using S. pombe as a model organism. The identification of cell cycle temperature-sensitive mutant fission yeast allowed to increase our understanding of cell cycle protein function. 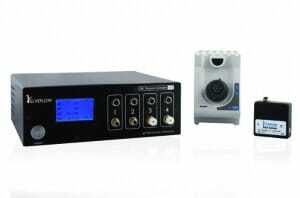 Our temperature controller allows you go fast-forward in your research. 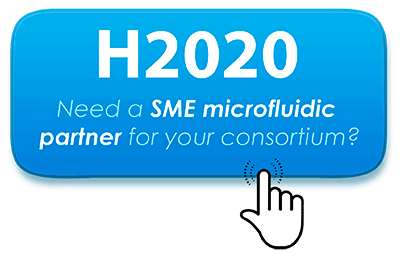 ElveflowTemp allows you to quickly shift your fission yeast temperature from 5 to 45°C, it is published, easy to use and fits your existing microscope setting. Need advice to control yeast cell cycle using temperature ? Pioneer work on cell cycle regulation using fission yeast as a model, was performed by M.Mitchison (Mitchinson, 1971). Indeed, with a generation time of 2 to 4 hours, along with a straightforward genetics S. pombe constitutes a very good model to study cell cycle regulation. 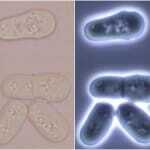 Like in all eukaryotes, S. pombe cell cycle follows a classical 4 phases model, with a G1, S, G2, M phases albeit an elongated G2 phase. The entry into each phase is controlled by a checkpoint to ensure that both genomic material and DNA machinery have suffered no mutations and can correctly enter the next cell cycle phase. 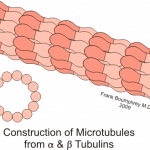 Cyclins and Cyclins Dependent Kinases (CDKs) form a complex, which is at the center of cell cycle regulation. CDK enzymatic activity is dependent on its association with cyclins. Cyclins, have been identified from Sea urchin by Timothy Hunt who chose the name because of the cyclic expression of cyclin genes. The CDK-Cyclin complex acts by phosphorylating and activating proteins, which directly play a role during cell cycle, namely, proteins involved in DNA synthesis, chromosome condensation, cytokinesis. In fission yeast, there is only one cyclin dependent kinase, cdc2 (Nurse, Thuriaux et al. 1976), a serine/theronine kinase playing a central role in G1/S and G2/M phases. Cdc2 associates with yeast cyclin proteins (see figure). In a very elegant study, Coudreuse and Nurse showed that, in S. pombe, a minimal CDK oscillator composed of a cdc2-cdc13 fusion protein was sufficient to control and drive proper timing and directionality to the cell cycle. This reveals the existence of a chore machinery for fission yeast cell division (Coudreuse and Nurse, 2010). 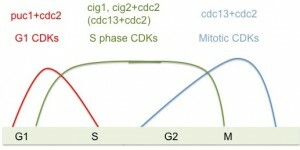 The CDK-cyclin complex is itself regulated at several levels. First, its activity is fully dependent on cyclin’s level of expression. Second, CDK active site is inhibited by wee1 protein kinase-mediated phosphorylation and is activated by cdc25 phosphatase-mediated dephosphorylation at the same site. Third, CDK can also be directly inhibited via protein-protein interaction with Cyclin Dependent Kinase Inhibitors. 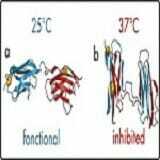 Temperature sensitive mutants are obviously used to alter and test the mutated protein function but they can also be used to test normal protein function in an otherwise temperature-sensitive mutant background. 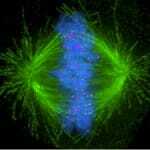 To establish that the fusion protein cdc13-cdc2 acts as a minimal core of cell division, Coudreuse and Nurse created a doubly altered fusion protein whereby they render cdc13 temperature sensitive and cdc2 drug sensitive, this way they could selectively uncouple cdc13 and cdc2 functions. 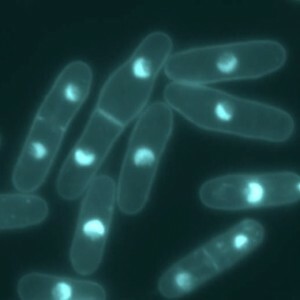 Temperature-sensitive mutant S. pombe has also allowed the identification of genes involved in quiescence to cell cycle re-entry, namely fcp1 (Sajiki et al., 2009). Given that cell cycle occurs in a very dynamic fashion, the control of temperature sensitive proteins has to be operated very quickly. Our temperature controller, ElveflowTemp, allows you to shift from permissive to restrictive temperature in seconds and block cell cycle while recording the effects with live-cell imaging. Within the two hours time frame of S.pombe cell cycle, you can induce and revert cell division phenotype as many times as you need. 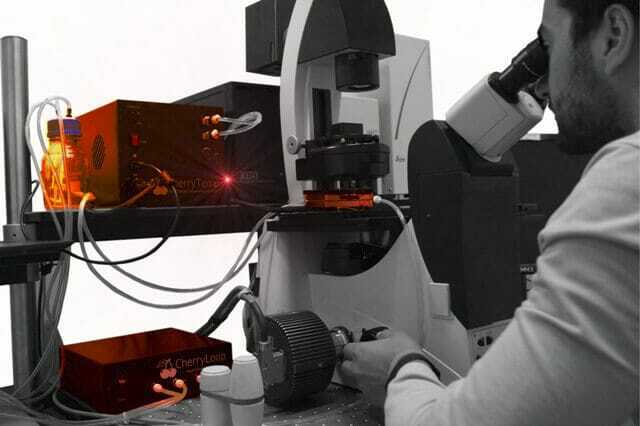 ElveflowTemp is easy to use and fits your existing microscope setting. 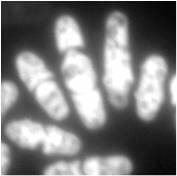 K. Nasmyth and P. Nurse, Cell division cycle mutants altered in DNA replication and mitosis in the fission yeast Schizosaccharomyces pombe, Mol Gen Genet, 1981.